Help your student discover the love of reading and writing this summer with Omega Learning® Center’s enrichment-based OutpAce® curriculum. Omega’s certified teachers help students develop and improve the fundamentals of reading and writing. Our highly-effective summer program includes sight words, fluency, vocabulary, comprehension, grammar, language arts, and writing skills. In our AdvancED® learning environment students build vital critical-thinking skills needed for Reading and math application. Math can be fun! Omega’s certified teachers help students develop and improve fundamental math concepts including basic calculation skills, math facts fluency, word problems, and math reasoning. Through Omega’s enrichment-based OutpAce® curriculum, students build vital critical-thinking skills needed to apply their knowledge to more advanced, multi-step math concepts. Preview fall math curriculum and get a jump start on the upcoming school year at Omega Learning® Center this summer! Benefit from individualized instruction by certified teachers this summer and help your child become fully-prepared to begin Kindergarten and achieve success throughout Kindergarten. Omega’s caring, certified teachers help young learners, ages 4-7, build vital critical-thinking skills and develop the fundamentals of reading, writing, and math. Omega’s certified teachers use auditory, visual, and tactile teaching materials to optimize the learning experience. Omega’s program builds the confidence and skills needed for a lifetime of success! Omega Learning® Centers offer customized Test Prep camps during the summer that are designed to target and improve your student’s scores in math, reading, writing, and vocabulary. Omega’s teachers provide strategic remediation, mock testing, guided instruction, and strengthened critical-thinking skills. ALL High School Math courses are available at Omega’s Summer School! Earn credit recovery at Omega Learning® Center this summer. Students benefit from Certified Teachers and a low Student:Teacher ratio. 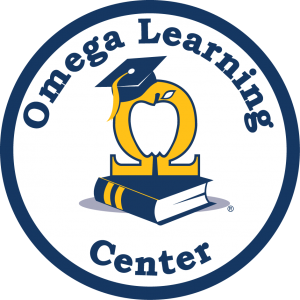 Omega Learning® Center offers flexible scheduling and affordable pricing. All centers are AdvancED® Accredited. Students develop new skills, expand creative thinking, foster team building, and meet new friends. In our AdvancED® accredited learning environment, summer camp students benefit from small group instruction led by certified teachers. Upon completion, each student will be presented with a certificate for the successful completion of the Omega Learning® Center S.T.E.A.M. Summer Camp. Summer Programs may vary. Call center for availability.